Do you feel like your life is just too busy? Do you feel like your closets and drawers, ahem, let’s be real, it’s not just the closets… the whole house is going to explode? Do you feel like your life is getting more hectic by the minute? Often, we feel the same way. Most parents do. You’re probably not her. But, that’s OK! We aren’t either and that’s WHY we created Picniic! Let us help you get a leg up on organization this Fall with 10 organizing hacks to streamline your life. Does that sound too overwhelming? Trust us, it’s easy! Besides, have you even looked at a cookbook recently? And, who uses recipe cards anymore? If you’re like us, you’re most likely searching your favorite blogs or Pinterest for a way to use up all that extra zucchini. If you have your phone or another device with you all the time, why not let us help you catalog all those recipe ideas? And, take some spare time on a weekend to digitize those favorites from your dusty cookbooks and recipe cards. They will be digital and easy to find! Picniic’s Step by Step Guide to organizing your recipes. 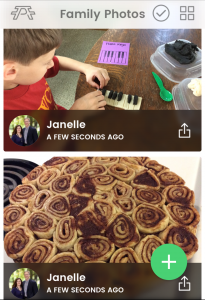 Step 1 – Use the search feature in our app to find interesting recipes from the most visited recipe websites you’re already using and add them to your digital file with one click! Step 2 – Write out those recipes from your grandmother so you won’t be afraid of losing them. We typed out Granny’s green jell-o salad recipe in a matter of minutes. Thanksgiving wouldn’t be the same without it! 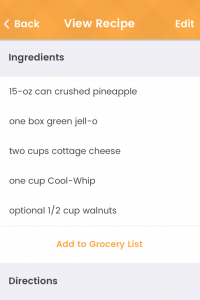 2- Auto-add ingredients to your grocery list in Picniic. Here’s how our grocery feature will streamline your shopping. Look at the screen shots above and you will notice that there is an “Add to Grocery List” button. In one click, all of the ingredients for the soup you wanted to make on Friday are added to your grocery list. Which, by the way, can be accessed by your husband who can pick up the ingredients for you on the way home from work. 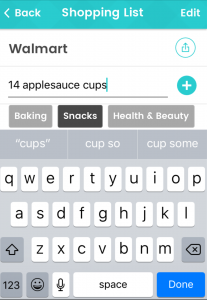 3- Use our Grocery List feature for efficient shopping. Not only can you add all of those recipe ingredients to your ongoing shopping list, but you can keep track of all that you need by quickly typing into your list. Which, by the way, is customizable by store and store section. Notice below, we needed 14 applesauce cups for a Preschool snack and we don’t want to spend too much for them. It was easy to put it under our Walmart list and choose the Snacks category. And, with our Premium service, you can make list-making even easier with speech-to-text technology! Have a specific list for Emily’s birthday party? Or, Owen’s soccer cookout? Our Premium service allows you to attach specific lists to your calendar so that nothing gets left undone. 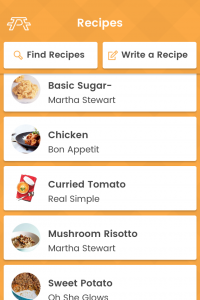 And, check out another feature we offer, our Meal Planner. It seamlessly syncs with your lists and calendars so you can plan your meals ahead in the most efficient manner possible. Using our meal planner, you can add all those recipes and grocery lists to your calendar weeks or months ahead. These can be hidden from other calendars, so the details of your planning are only visible to you. Use it today to start planning for your Thanksgiving Feast! 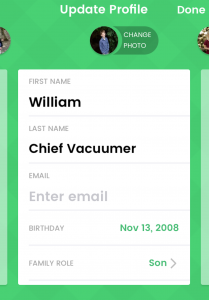 5- Assign to-dos to your spouse & kids through the Picniic app! Real-time updates mean your family members can see what you need them to do to keep the ship running and easily notify you when the task is done. No more excuses! Here’s our to-do for Nate with a nice note about when it can be done rather than a phone call that interrupts his day. He can check it off so I know it’s done before he gets home. 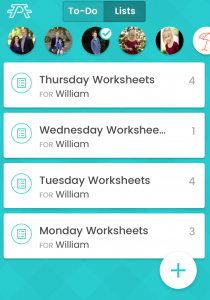 To-do lists and other task lists can be created easily, such as chore lists, packing lists, even homeschool assignments such as William’s Second Grade morning worksheet list. As a young kid, he doesn’t have his own device, but the lists can easily be sent instantly to various applications for easy printing at the beginning of the week. He can check them off as he finishes them on a printout or Mom’s device. Delegation is key to staying organized. Every family member needs to be part of running the household. If everyone is “in charge” of something in the home, even the little ones, then at least that one something can be done each week. How many family members do you have? What are the top 5 or so tasks that need to be done each week to make your household run smoothly? Assign one to each family member with a fun nickname and explain that this job needs to be done each week. William, our 8-year-old is enjoying his newfound strength and ability to run the vacuum. So, he has been assigned as Chief Vacuumer. Maybe this title no longer suits him in a couple of months, it’s easy to change, but until then the carpets are getting vacuumed at least once each week. 6- Create a safe place today for all VIPs! Birth Certificates, Immunization Records, Insurance documents, etc. should all be stored in a fire-safe box of some kind. But, frequently, you need a piece of information off of those forms and you can’t find what you need in a timely manner. Worse, you move one of these important documents and you lose it! Instead of this search-and-panic scenario, enter key pieces of information that you need for filling out medical forms and such using our Info Locker. This encrypted section of our Premium service lets you safely and securely store and access personal information on the go. So lock those things away safely and use our Info Locker when you’re out and about. 7- Schedule a regular time to clean out your digital photo files. The curse of digital photography is that we have SO MANY photos to deal with now. You really should plan time for organizing it all to keep the photo onslaught in check. There are many systems out there to choose from. Decide on a schedule depending on how many photos you typically take. And, decide what you usually do with those photos. Do you regularly make Shutterfly albums, do you post them to Facebook, do you print and scrapbook with your photos? Services dedicated to your preference can help you keep everything organized in a helpful manner for that task. But, we all want to share our photos with family! You might not want to post every little thing to Facebook or Instagram, but Grandma is still interested in the little moments of your day. Use our Family Photos feature to create your own albums viewable by just your family. It’s like having your own personal family Instagram feed, no gawkers allowed – how cool is that? Sitting in the pick-up line for school? Or, the pediatrician waiting room? Use that time for organization. Most voicemail allows you to save important messages and email applications allow you to create folders for saving emails in categories. But, you do have to find time, ideally weekly, to go through all the messages and weed out the nonsense to save the important tasks. And, it’s still difficult to sort through those messages and emails to find the task that needed to be done or the phone number you need to call. Use our To-do and List features to jot down phone calls that need returning, tasks that need to be done, and other key info. Prioritize on the go. Attach to-dos and lists to your calendar or others. 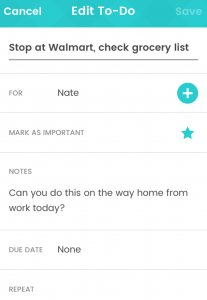 Get notifications from Picniic as your items on the to-do list come up to their due date. Do this regularly and you won’t be so overwhelmed again! 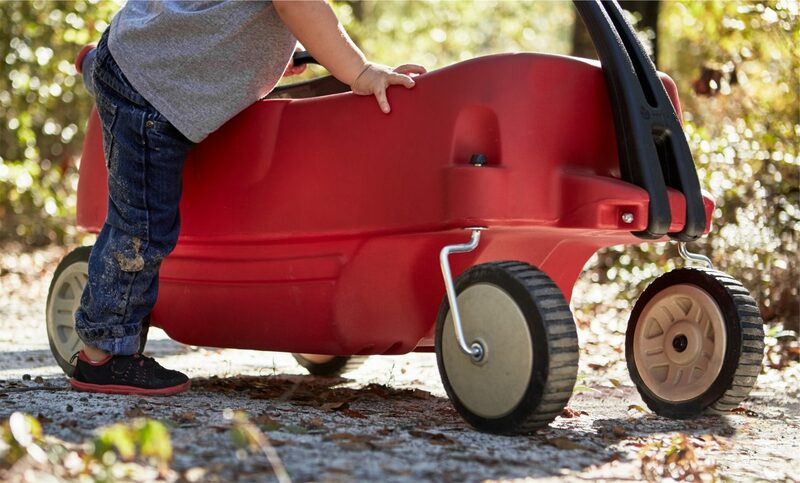 Is it just us, or does the task of going through the kids’ closets and drawers, sorting everything by size, and shopping for new clothes seem like the most daunting parental task? Here are a few ideas to help you keep everything flowing. Make a list for each child. Make note of sizes. List items to purchase. Add specific clothing store notes. 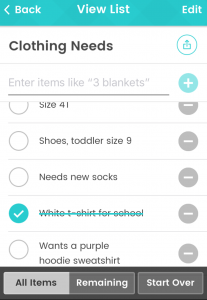 If you have a lot to purchase, like right before school starts, make a shopping list with our app. Here’s our note about Victoria. It lets Mom know what she needs, and the list can be added to Grandma’s task list right before a birthday if she wants to see what Victoria needs. As items are purchased, they can be easily checked off as done by anyone attached to the task list. 10- Set up a “too small” bin for your clothing. Use a specially designated basket, hamper, or box located in an out-of-the-way yet easily located spot such as the basement, garage, laundry room, etc. Everyone needs to know that it is the give-away box. As children’s clothes are outgrown, or teens and parents tire of old styles, put gently used or unused clothing in the bin. Mom can choose one day each month or every other month to inspect the items and then sell the items or donate them to the charity of choice. Check out the following options and create a plan to use one or two of these ideas this year to keep your family closets from being overstuffed. Bonus: there are many pick-up services available now, so the donations don’t have to be a burden on your time. And, many take household items as well as clothing. The Salvation Army will pick-up your items if you live near a store. The National Kidney Foundation has mailing and pick-up options. Your local municipality, firehouse, or hospital may have pick-up or easy drop-off services as well. Check local churches, homeless shelters, or women’s centers for information about special clothes closets or clothing drives to benefit your local community. Thrift stores are popular places to sell gently used kids’ clothing. But, there are many tailored to women and even places for business-wear. Look for your local options. These stores are especially beneficial to your community members that are struggling financially. If you choose to use any if these organizing hacks, or the Picniic app in a unique way, let us know on our Facebook page – we would love to hear from you!